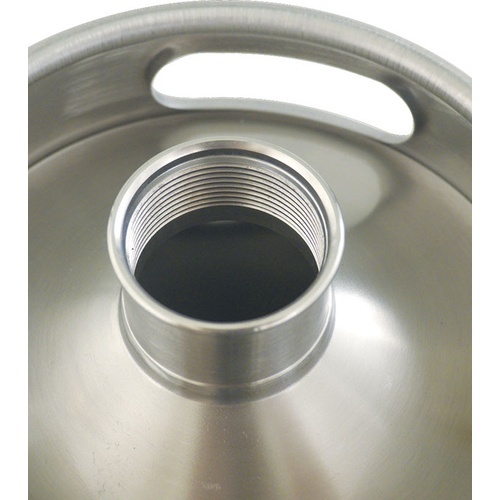 The Machismo 128 Kit Serving System by ManCan is a perfect, pour anywhere mobile draft solution. 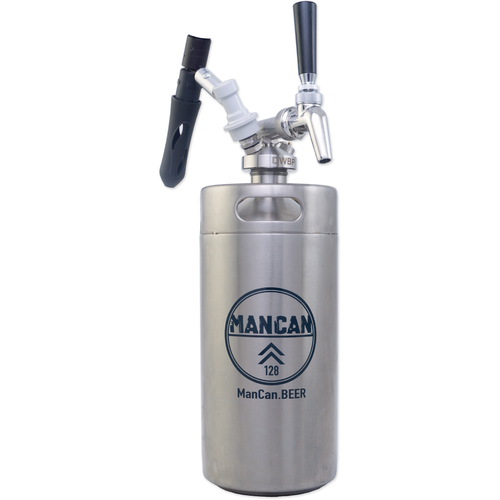 Featuring a one gallon (128 oz) SS ManCan Mini Keg growler, a perfect pour 2 stage Regulator, and the Machismo Tap System; this is a go anywhere package that will keep your beer serving beautifully. The Machismo Tap System features a Perlick SS Faucet and Ball Lock connection Perfect Pour Regulator. The Perfect Pour regulator maintains a set PSI output, high enough to push your beer out and retain carbonation, but low enough to eliminate foam while pouring! The regulator takes 16 g co2 cartridges (2 included) and package includes 3 cleaning tablets. Ok. Quite a heavy importtax in Germany? ?